Architect: B. Pila Design Studio, Inc.
Sq. Ft. range: From 700 - 1,111 s.f. This information is provided for informational purposes only and intended to help buyers, sellers, and renters orient themselves to the neighborhood of East Edgewater. In an emergency always call 911. REMEMBER Buying and selling investment condominiums in the East Edgewater real estate market can be confusing and risky without the proper knowledge and guidance from a professional and ethical Realtor®. Due to the fact that there can be 100’s of condos, buildings, and options available at any given time making the right choice can be a daunting task. The solution is working with Eddie LaRosa whom will give you peace of mind and outstanding guidance and customer service. Is it a good time to invest in East Edgewater Miami? Is it a good time to sell a condo in East Edgewater Miami? 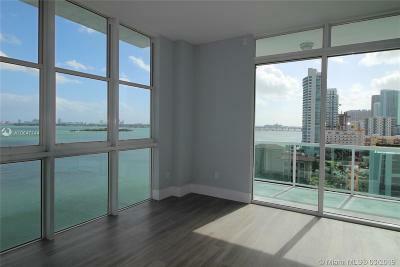 Is buying a new construction condo in East Edgewater Miami a good investment? What are condo prices in East Edgewater Miami? What is the normal return rate for East Edgewater Miami real estate? What is the average return rate (ROI) for East Edgewater Miami real estate? Is it a buyer’s market in East Edgewater Miami? When is the right time to sell my East Edgewater Miami property? What is currently the best new construction project in East Edgewater Miami? Who is buying East Edgewater real estate? These are all common questions that Eddie LaRosa answers and helps his clients with in order to provide solutions for consumers regularly. His specialized knowledge in East Edgewater real estate and local economy make him the best choice for consumers seeking to buy and sell properties in East Edgewater. Eddie is knowledgeable and aggressive when it comes to working his sales and purchases and consistently places his clients into the right condos and investment properties. There are always two sides to a real estate transaction in East Edgewater and Eddie LaRosa will make sure you receive the customer service and respect that you and your property deserve! Call today for your free consultation 305-968-8397.